Leopard Print.. To The Max! As far as we're concerned, leopard is a staple piece in every woman's wardrobe! Give yourself a colourful update by going for a flouro hue in the classic print. We're taking style notes from Katy Perry and Rachel Bilson who have both rocked this trend on the runway. We think our Darling Eddie Dress is the perfect way to get the look at a fraction of the price - team it with chunky heels and gold accessories for an effortless 1970s style. To celebrate all things sparkling as an ode to Bonfire Night, we've picked out our top five shimmering, shiniest, spangliest pieces! It's the season to stand out and there's no better way than to whack on some show stopping accessories. Heads, prepare to turn! 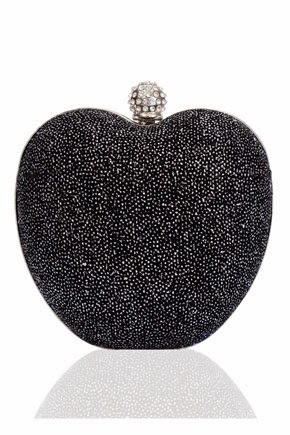 Apple bobbing is the game of choice for many an autumnal party, but we'll happily keep dry if we had our paws on this marvellous vintage style clutch. The metallic fabric gives some added shimmer, along with the diamante embellished clasp - swoon! 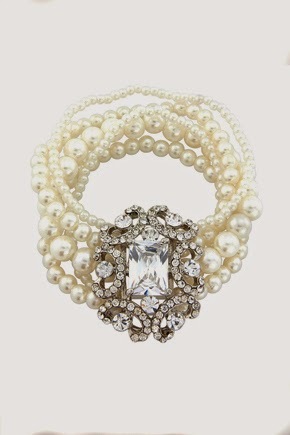 Every girl loves pearls, and this darling bracelet has been jazzed up 1920s style with a crystal encrusted detail, just to draw in a little more attention! 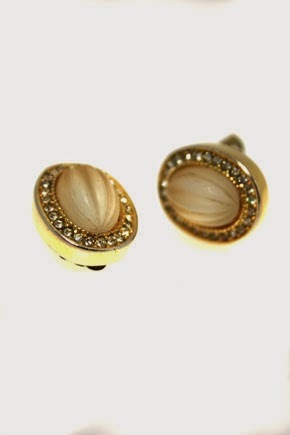 We just love stumbling across designer vintage items, and these vintage Dior oval earrings are truly special. Embellished with clear crystals surrounding a cool textured stone, they're certainly a statement piece ready to give your lobes a little shimmer! If you want to work some bling into your look without over-doing it, a hair accessory is ideal! 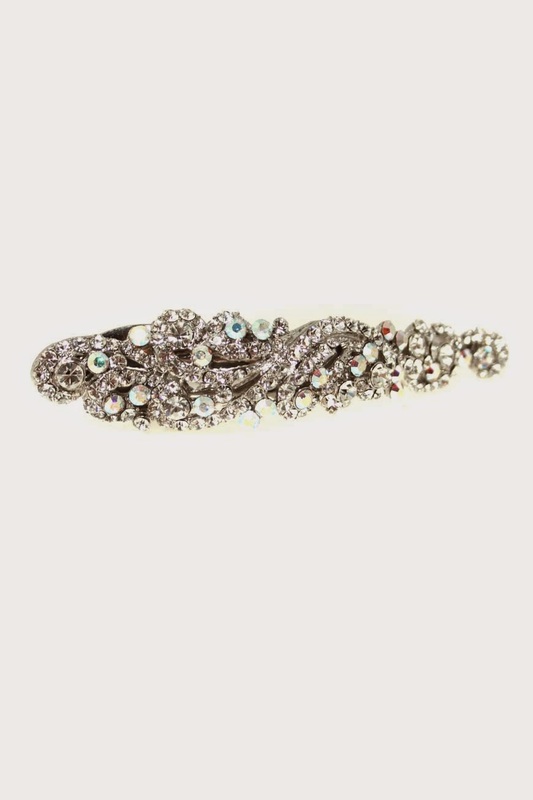 We adore this easy to wear vintage hair slide, it's got rainbow coated crystals which pick up different colours in the light and give a constant glimmer of jewel tones. Whether you've got your hair up or down, pop this on and you'll feel every bit the party princess. Collars are bang on trend this season, the blinger the better! 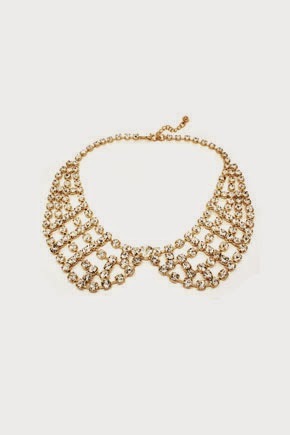 We adore this gold collar necklace, it's uber versatile and so easy to rock from day to night. It’s a trend that has manifested itself into not just the simple basic shape we think of when the word cape is first mentioned but in wools and wrapped fabric and (dare I say it?) 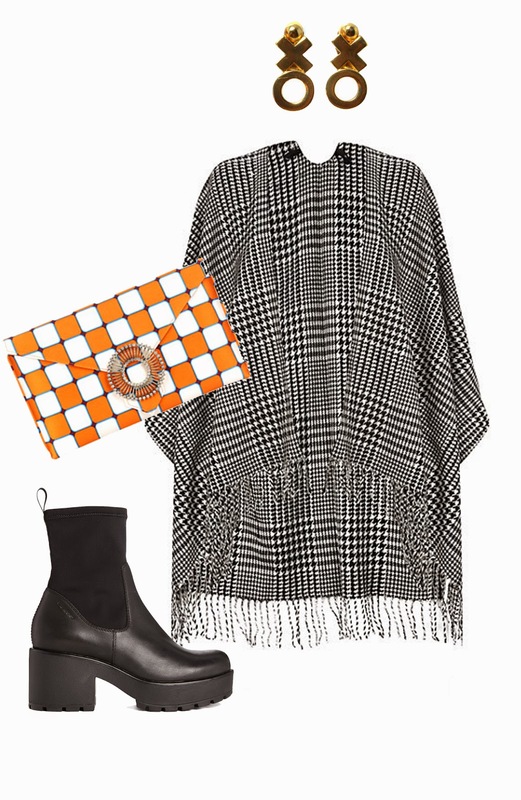 hello 70’s ponchos. 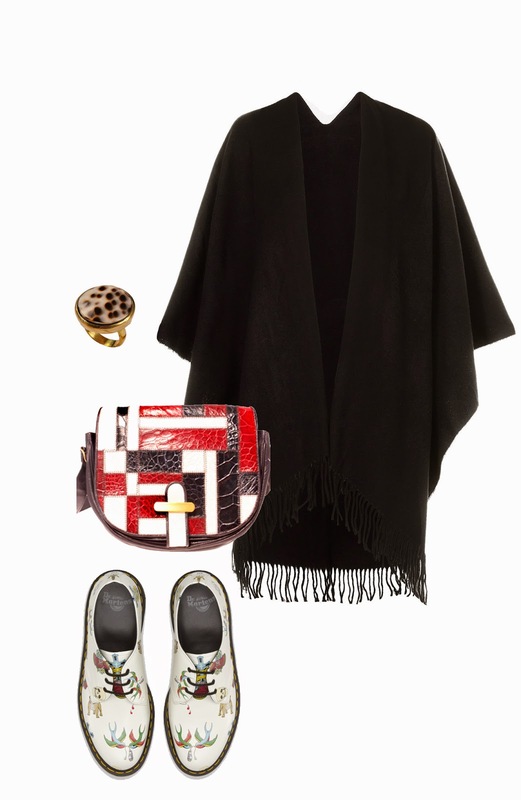 I feel excited by this blanketed fabricated feel for autumnal fashion but as I tried on some potential’s last week I found myself wondering, how wearable is this fashion and how should I style them? Here at Rock My Vintage we've been putting together a couple of looks with our products to inspire! Let us know your favourite/how your going to be wearing a cape this winter! Here at Rock My vintage we're very lucky to have our office in the heart of Birmingham's creative hub, the Custard Factory. 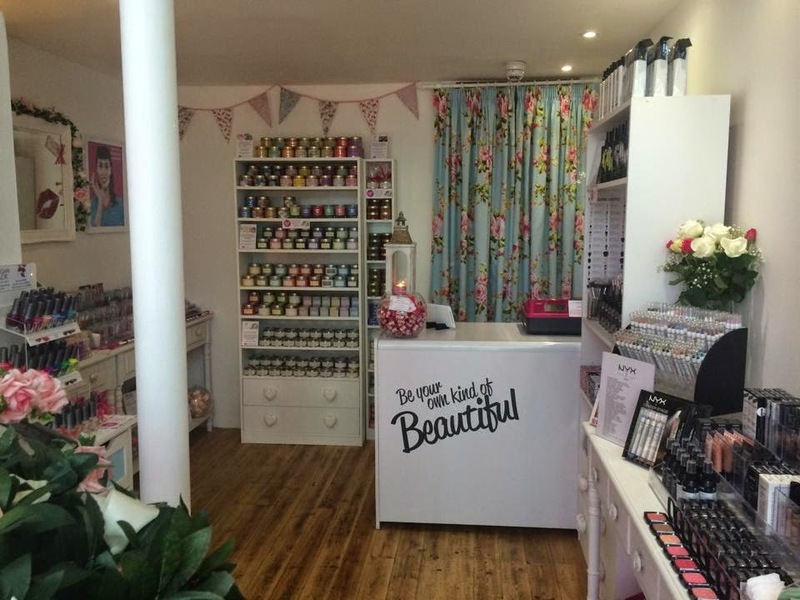 It's crammed full of independent retailers & creative businesses, and has most recently been joined by Cocktail Cosmetics. 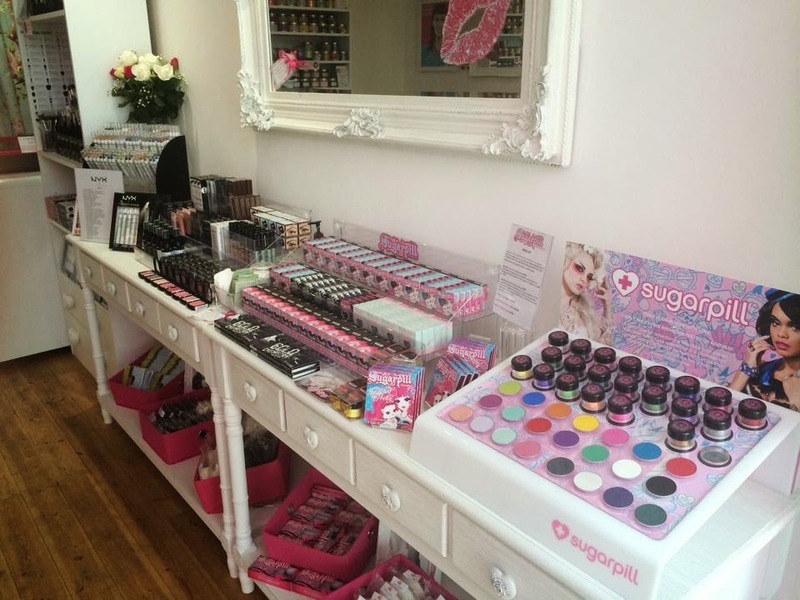 Now, we must admit that we are complete product junkies and beauty addicts, as well as vintage lovers (of course! ), so we knew straight away that this lovely little shop would be right up our street. The attention to detail in the décor is just impeccable - we particularly loved the flowers wrapped around the winding spiral staircase. 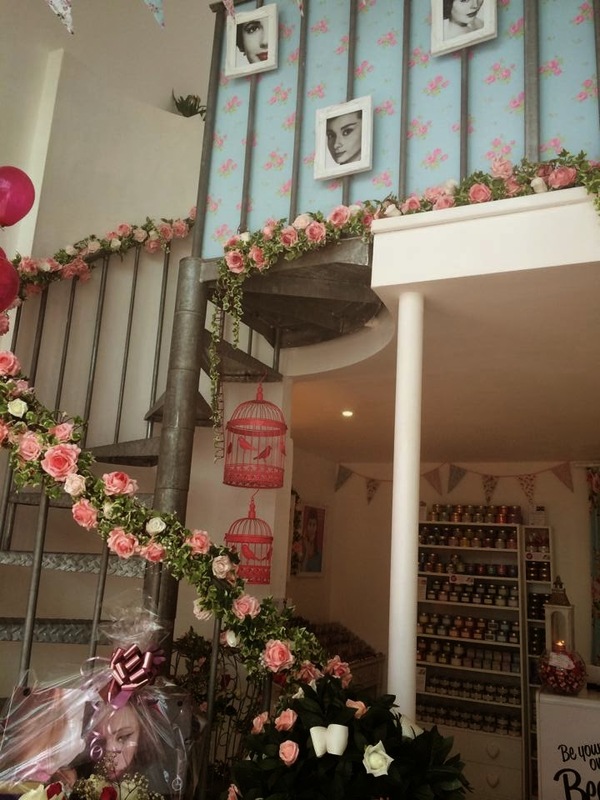 Portraits of our favourite beauty icons are dotted around amongst vintage style bunting and fun pink birdcages. 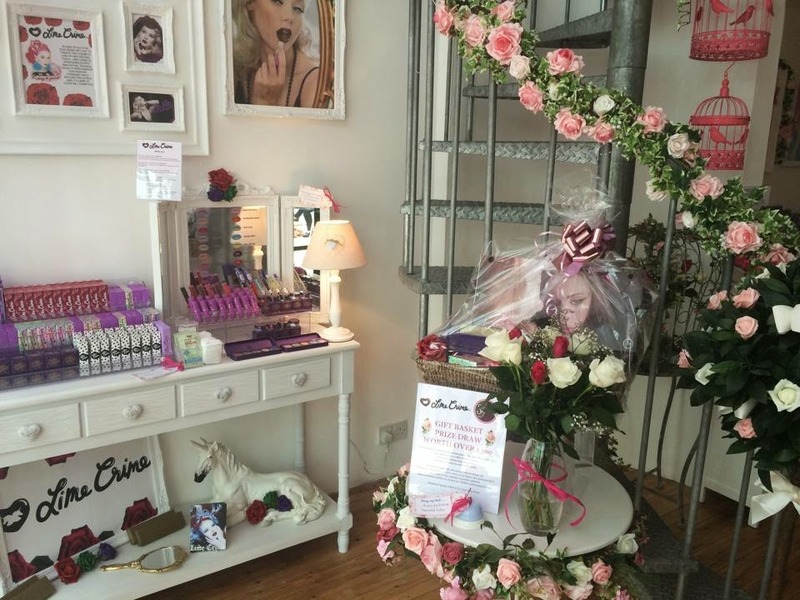 As soon as you step inside you're greeted by a glorious fragrance thanks to the scented candles on offer, and you'll be amazed by the array of quirky make up brands they stock. We came away with a peach lipstick by US brand Lime Crime, but we'll most definitely be back to treat ourselves again soon! It's fantastic for gift ideas too if you're in need of pressie inspiration. From now until the 29th August you can get hold of a free raffle ticket with every purchase, which will mean you're in with a chance of winning a luxury gift hamper worth over £300!